Activision is very chirpy about its latest Call of Duty franchise release. In a blog post yesterday, the firm crowed about Call of Duty: Black Ops 4 breaking franchise launch day records, eclipsing records set in 2017 by Call of Duty: WWII. Released Friday, the title became the best-selling Activision Xbox One digital game on day one, globally. Perhaps more impressively it also set a new PlayStation record for day one digital full game sales on PlayStation Store, globally. On PC, Call of Duty: Black Ops 4 was released exclusively via Battle.net. Activision says that this was a success too - as it shifted more than double the launch day numbers of Call of Duty: WWII, which was available on Steam. Across all platforms the new game delivered an increase in connected online players over the first day of Call of Duty: WWII, however Activision did not provide any details about how dramatic this increase was. Furthermore, Activision didn't share any unit sales numbers, physical or digital, for Black Ops 4 - but that is in keeping with modern games industry practices. "Black Ops 4 is an incredible game, and the community's response to it has been amazing. 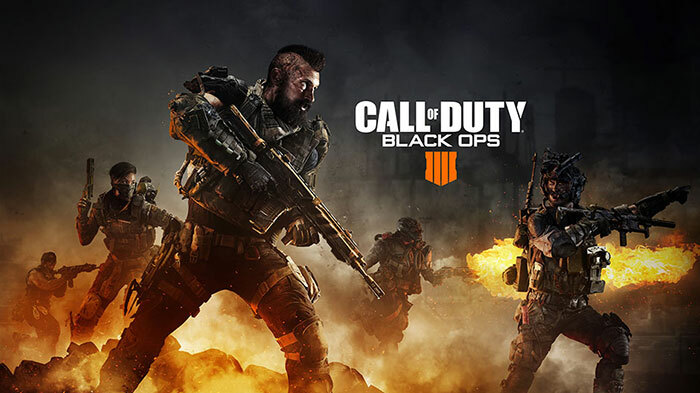 We have shattered multiple digital day one sales records, and the number of people who connected online on day one to play has grown year on year," said Rob Kostich, EVP and GM, Call of Duty. Kostich went on to cite the key attractions of Black Ops 4 as its Multiplayer, Zombies and Blackout (the new Battle Royale mode) modes. Looking at sales data via GamesIndustry.Biz provides further illumination regarding the latest CoD launch, especially with regard to UK sales numbers. Taking a different tack, the magazine headlined its story to highlight the downturn in physical games sales. GamesIndustry.Biz says that the new Call of Duty: Black Ops 4 saw its lowest physical sales numbers in 11 years. Black Ops 4 first weekend boxed sales in the UK were down 50 per cent compared to last year's Call of Duty: WWII, and down 59 per cent compared to Black Ops 3. Overall it is "the weakest start for a boxed Call of Duty game since 2007's Call of Duty 4: Modern Warfare," noted the gaming industry magazine. With this being an early launch for the CoD franchise (they usually pop out in November) there could still be good physical sales and bundle sales to look forward to in the Xmas run-up. If fans take to the game and its new modes it could do well from here but it will face strong competition with the impending releases of Battlefield V, Red Dead Redemption 2, and Fallout 76. Plus between this, steam, origin, Microsoft store, uplay and the epic launcher (Whew.) - I am starting to get very tired of all these different clients and I am generally starting to say to myself, “if it isn't on steam it isn't getting bought”. Yuk!…a game that will be populated by obnoxious, greasy little 17yr old virgins, shouting trash talk down the mic.